Krista McLaughlin - YA Author: 12 days of craziness! Whew! I am finished! 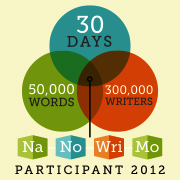 50,158 words and I am finished with my NaNoWriMo novel, Defiance. I can finally get some good sleep tonight! I've been staying up later to get more writing done and giving up sleep in exchange. I've also been slacking on my exercising. I am done! I would like to thank Cheryl for doing some #1k1hr sprints with me on Saturday! It seriously helped! I am not really sure I like the ending of the story, but that's okay. There are several things I'd change, but I don't have to worry about that for a while since I am going to put it away until after the new year! But there was another hiding behind the boys. She was small, a little girl only five or six years old. 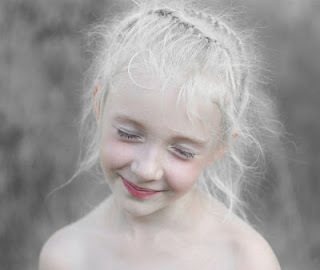 Her blond hair was pulled back and strands were braided. Her eyes were grey, but not frightened. They seemed curious. A smile pulled at her red lips. “Who is this?” I asked, keeping my voice soft. Anise smiled at Liam’s nickname and praise. “Yes.” Her voice was soft and musical, pure and untainted. “What is your gift, Anise?” Declan inquired. “Why did you show them those images?” I said, frowning. Anise smiled and I felt like my heart was melting from the sweetness of the little girl. She lifted her hands and a ball of light appeared in her hands. It quickly turned into blue, green, and yellow flames, and appeared to be burning in a round circle. It was beautiful and terrifying at the same time. Anise put her hands down and it disappeared. “I like to make pictures,” she said. Anise nodded. She was so full of trust and youth. I didn’t want to taint her innocence, but we really didn’t have a choice in the matter. Declan and I agreed to take her with us to confront Seth. She would stay in the background and distract the Enforcers until Liam could release Effie to help knock out the rest of the men. Then we would only have Trent and Seth to deal with. Only, yeah I wish it wasn’t a big deal. Well done!! I'm no where near finished!! Thanks Nessa! Keep going - you can finish it! Finishing an entire novel in 12 ways is very impressive! Thank you! It was definitely exhausting! Yeah! So excited for you! Go have lots and lots of chocolate! I can't even keep up with NaNoWriMo between work and school let alone finish early! I'm lame and got sick and have been using that as a god awful excuse for my falling behind. I'm going to do the best I can to catch up and finish though! Plus I reaaalllyyy want the 50% off Scrivener code because I'm pretty much in love with the program..
That's great! 50K words in 12 days is amazing! You certainly deserve chocolate! The excerpt sounded intriguing, too! 50K in 12 days is awe-inspiring. Congratulations! I really enjoyed the excerpt, too.